Phase 1 of smoothie diet. I decided to start on a weekend so I can get used to it before I venture into a work week. I’m worried about the taste of the smoothies – I’m not so bothered about the fruit smoothies but I’m apprehensive about downing spinach, kale and cucumber smoothies. Besides I’m not sure how I’ll fair on just smoothies for a whole five days but I shall give it a go. Also, as someone who works behind a computer all day, the most I manage in the way of exercise is 10 – 20minutes kettlebell DVDs, three days a week. I’m a bit worried about how I’ll manage 10,000 steps daily. I washed, deseeded, chopped and froze everything including the spinach so all I’ll have to do is blend my fruit and veg straight out of the freezer. All blended with a hand blender. It was surprising tasty, and very thick so I had to dilute it with water. It took a little over half hour to consume and was very filling. 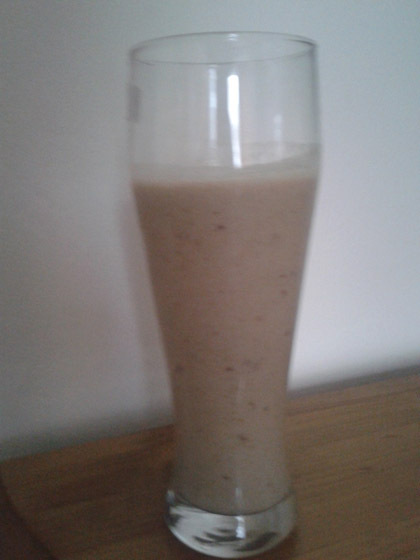 Again, the smoothie was very thick – had to dilute with water. It was tasty, filling with lots of fibre thanks to the grape skin and linseed. The book gives many options but I had forgotten to buy any so I decided to have some frozen fruit and yoghurt instead at 4:30pm when I started to feel peckish. 2 spoonfuls of low fat Greek yoghurt. It’s a great and healthy snack but I couldn’t help but wish I’d bought popcorn. I usually work through the night or go to bed very late so my dinner is always around 10pm. I am not trying to stick to this schedule and will eat should I feel any hunger pangs but I didn’t feel hungry until 9:30pm which I thought was great because one of my fears was waking up hungry in the middle of the night. 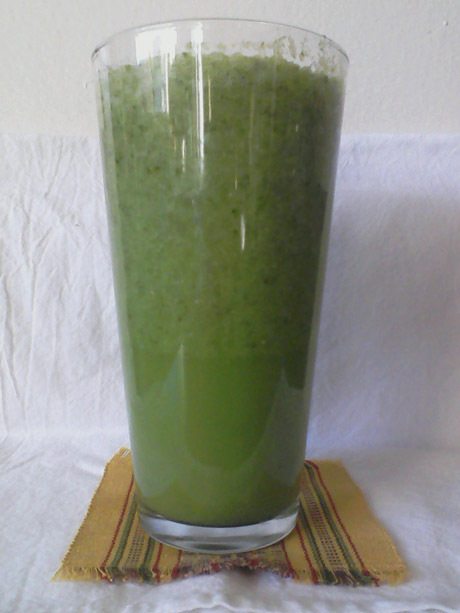 I had Sweet Spinach Smoothie for dinner. It appears there was no reason to be concerned, the smoothie was thick and tasty. I could see I was drinking a spinach smoothie but I couldn’t taste it which was brilliant. It was a Sunday so I didn’t step outside all day which meant I didn’t get the required 10,000 steps. Hopefully, I’ll be able to make up for it tomorrow. Final thought: It’s been a strange day in the sense that I haven’t had any solid food but the good thing is I didn’t feel hungry throughout the day which is a great sign that I can actually stick to the Body Reset Plan. Bring on day two. Previous One Direction Launches Fragrance for Female Fans.